The 2018–2019 School year is here! The Hastings-on-Hudson Parent Teacher Student Association (PTSA) is a nonprofit, membership association that seeks to bring together the home, school and community on behalf of all children and youth. Explore our site and learn more about our meetings, grants, advocacy, fundraisers, and volunteering opportunities. Welcome to our new Superintendent! The Hastings-on-Hudson PTSA is thrilled to welcome our new Superintendent, Dr. Valerie Henning-Piedmonte. Read the Letter to the Editor, The Rivertowns Enterprise, written by one of her colleagues. 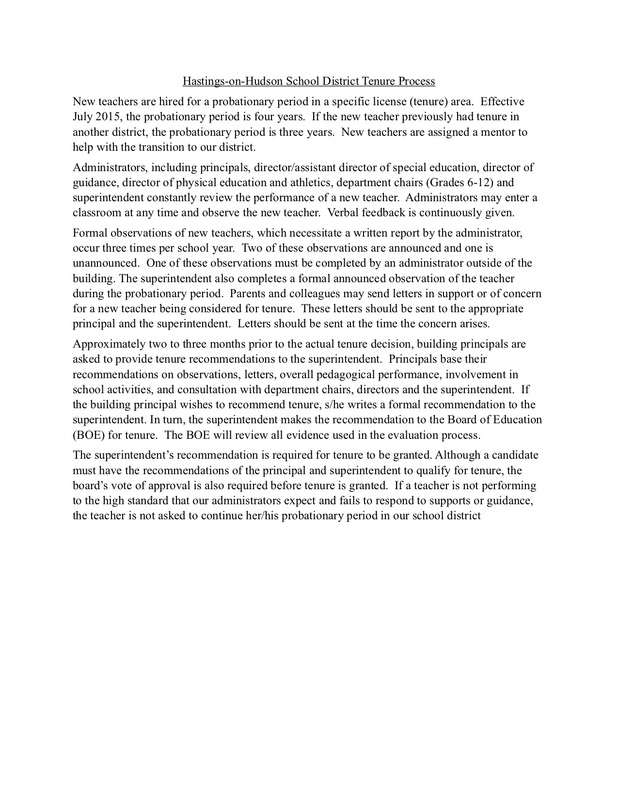 Tenure appointment recommendations go to the Board for action on Tuesday, May 7th, 2019. The window of opportunity for Board members to review tenure files is ongoing (now). You can download the Tenure Process here. Dr. Alec Miller will be in Irvington on Tuesday, April 30 @ 7pm, to discuss how we can help our students effectively manage anxiety, stress and other strong emotions using skills found in DBT (Dialectical Behavioral Therapy). This presentation is open to all parents of school-age children.